Could help you get the right psychological attitude to take your trading and investing to the next level. Why is having the right mindset so important? How can this book make you a better trader and investor? What does ancient wisdom teach us about trading? There’s a fine line between winning and losing in the financial markets, and the smallest edge can make a difference. One of the biggest reasons for failure is not having the right mindset – this book can help you be one of the winners. 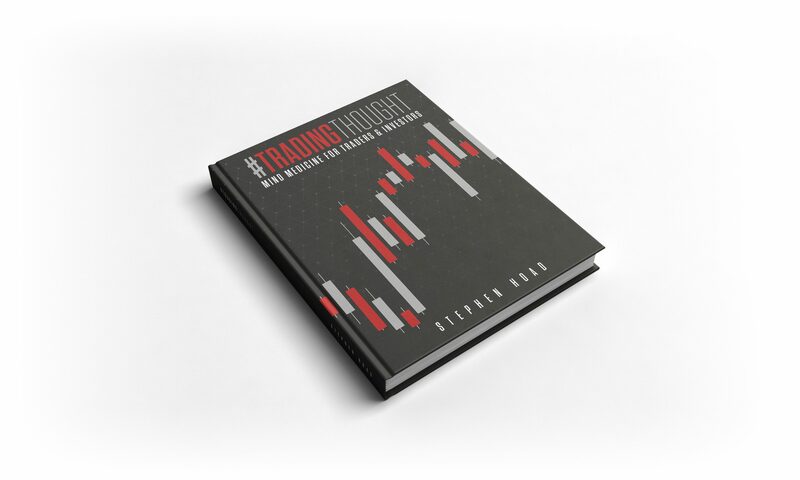 #TradingThought was inspired by the popularity of daily motivational Tweets delivered by Stephen Hoad. A trader, risk manager and expert financial markets educator, his twenty years of experience has shown him time and again that the psychology of trading and investing is the most important element to master if you want to be a success. Research supports this: the right mindset can help you think and act smarter, even under stress. #TradingThought can help you train your mind to win. The 1000+ quotes are brilliant simply as a life self-affirmation tool – a powerful weapon for positive change or to overcome obstacles that are preventing you from reaching your goals. But their real purpose is to inspire, motivate and stimulate your mind into taking positive psychological action to improve your trading and investing performance. #TradingThought will inspire you to believe that nothing is impossible if you embrace the power of the proverb!